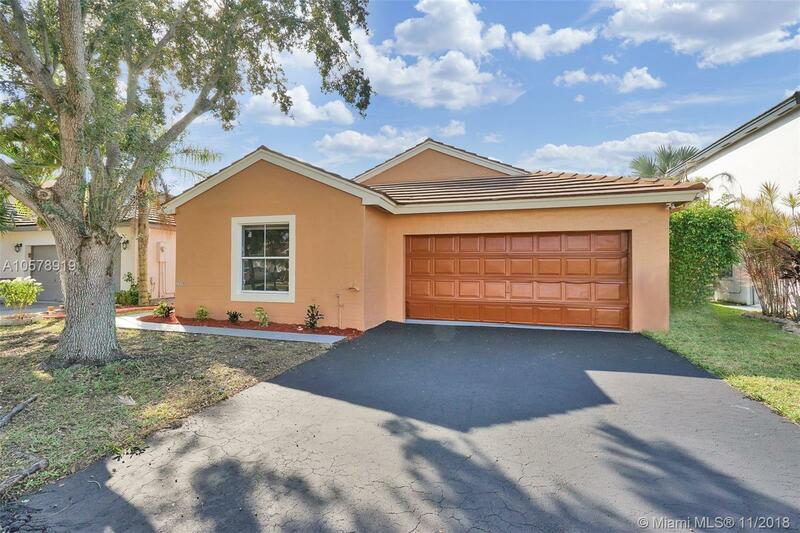 2120 NW 191st Ave, Pembroke Pines, FL.| MLS# A10578919 | Susan J Penn l Best Agent l Buy & Sell South Florida Homes! Remarkable 3/2 Lake front, fully remodeled property in the heart of Pembroke Pines! Brand New Kitchen Stainless Steel appliances with quartz tops, Brand New Baths with his and hers double sinks in master bathroom, Good Roof, Brand new laminate Flooring throughout the whole property. Strong A/C recently serviced. Freshly painted move in ready!. Relaxing back porch with great Lake views. Centrally located near top rated schools, many restaurants, and shopping near by, easy access to 1-75. House is priced to sell fast! Send your highest and best offer along with proof of funds and your pre-approval letter. - " Low Association fee only $126 a month" - Ask us how to purchase this with 0 closing cost, and 0 downpayment.